This is a universal synta universal finderscope base for SCT telescopes. This has a slot so it will suit most SCT telescopes. 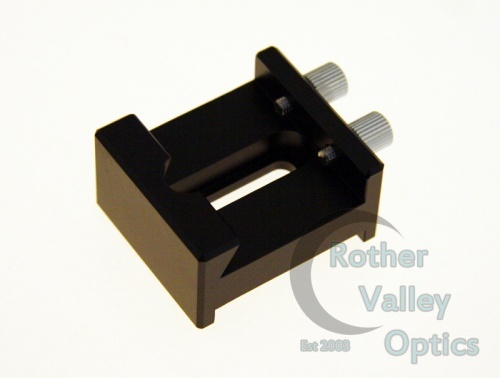 Ideal for attaching synta style finderscopes or laser pointers to your SCT scope. Features 2 thumb screws for added security. The slot length is 28mm so please measure your screws before purchasing.